No damage is like the other. Knowing that, we created two different rondo repair systems. 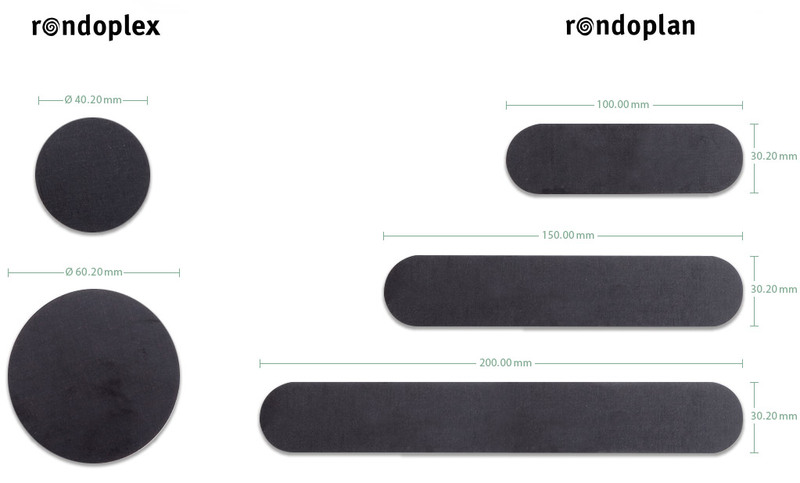 rondo 400 removes small damages, like tie holes, up to diameters of 25.00 mm with repair discs of a diameter of 40.20 mm. For the worse damages with bigger scratches and holes we provide you with rondo 600. 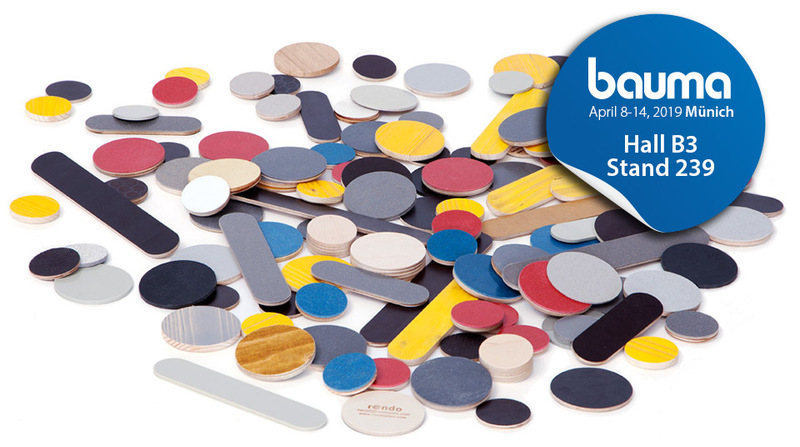 The rondo 600 system contains rondoplex repair discs with a diameter of 60.20 mm. Greater or longer spots of damages can be repaired by overlapping use of rondoplex repair discs. You know the problems of daily business on site: Damages and scratches of the Surface of shuttering boards from tie holes, drillings, concentrators, impression marks, nail holes, damages due to transport, lift forks etc. cannot be avoided even when working very carefully. If damages of the surface of shutterings are not repaired professionally before using the shuttering again, the concrete surface will show the outlines of the damage. These positive copies of the impression marks a problem for follow-up working. The marks on the formwork surface have to be removed mechanically under immense effort. Repeatedly used unrepaired shuttering leads to even more costly repairing of the surface of concrete due to even deeper damages on the formwork surface each time. The results of bad shutterings to be seen on concrete surface. Concrete surface with shuttering repaired with Herud KG rondoplex. Before repairing the damaged spots, the shuttering has to be cleaned of concrete and dirt with the appropriate tools and aids. The Router with rondo HM-switchblade cylinderhead drill must be adjusted to the corresponding thickness of the rondoplex plywood repair discs at the depth regulator of the machine. Do a testrun on old shuttering. After the adjustment of the drilling depth and a testrun, drill the hole on the damaged spot and turn off the machine. Blow away shavings and dust. Apply D3 or PU glue sparingly at the inside wall of the hole. Fit in lightly with a hammer. Caution! Avoid damage of the filmcoating due to hard hits with the hammer. Use a piece of hardwood or plywood to fit in the rondoplex-plywood repair disc level. Long scratches and grooves can be repaired by putting in several rondoplex-plywood repair discs overlappingly. In this case, each rondoplex-plywood repair disc must be fitted exactly before putting in the next one overlapping. Working as described, even large damage can be repaired. After the glue has set, the shuttering is ready for work again. Repair holes and scratches in plywood shuttering in seconds. Rondo means a minimum investment with a maximum of return as follow up repair costs of shuttering sink. A unique alliance of highest precision and efficiency. Fight damage before it develops.